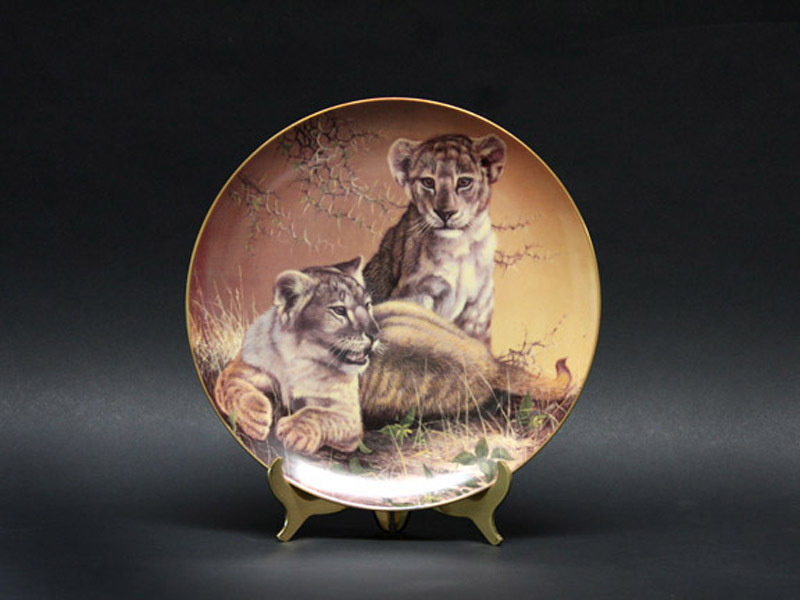 Atarah’s Cubs is from the plate series Beautiful Cats of the World, a set of eight collector plates, consisting of four adult cats and their four cubs. This African lion cub plate was the sixth of the series, issued in 1982. Edition of 5000, hand-signed byartistuponrequest.